Start reading my book today! 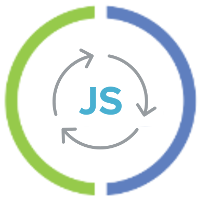 By the time you finish your final capstone project, you’ll be designing Clojure functions, apps, and libraries like a pro! This blog post is about to show a new way of blogging about Prolog). And after a while, we even forgot that we ever had this dream. Question: Well, look at Wikipedia — it’s a tremendous collaboration. Alan Kay: It is, but go to the article on Logo, can you write and execute Logo programs? Are there examples? No. The Wikipedia people didn’t even imagine that, in spite of the fact that they’re on a computer. The Prolog system will answer either “yes” or “true” depending on the implementation. But all of this is static and the developers learn much better through interactivity. Have you noticed the small icon to the left of the code snippet to differentiate between rules and queries, instead of the usual ?- to introduce a query? Feel free to edit the code above: it’s interactive => it evaluates as you type. All I had to do in order to klipsify my code snippet, was to set the language-prolog-rules class (configurable) to the html element that contains the rules and the language-prolog-query classes (configurable) to html element that contains the query. fruits_in(Xs, X) :- member(X, Xs), fruit(X). fruits_in([carrot, apple, banana, broccoli, orange], X). The great thing about tau-prolog is that it runs in the browser. As a consequence, we can graphically visualize the steps of the process. Let’s take for example the classic Knight’s tour problem, where we look for a sequence of moves of a knight on a chessboard such that the knight visits every square only once. mov( 1, 2). mov( 1,-2). mov(-1, 2). mov(-1,-2). mov( 2, 1). mov( 2,-1). mov(-2, 1). mov(-2,-1). Y1 >= 1, Y1 =< 8.
get_by_class(knight, Knight), !, remove_class(Knight, knight). The algorithm will run for quite a long time, but without freezing the browser . By the way, this is exactly what we did on the page that you are currently reading. Write your own blog post with interactive snippets in your preferred language. It’s super simple to integrate the Klipse plugin on a blog bost: check the instructions on Klipse github repository. If you enjoy this kind of interactive articles would you consider a (small) donation💸 on Patreon or at least giving a star⭐ for the Klispe repo on Github? Follow viebel to stay up-to-date with the coolest interactive articles around the world. Give Klipse a Github star to express how much you appreciate Code Interactivity. Feel free to email me viebel@gmail.com for getting practical tips and tricks in writing your first interactive blog post.